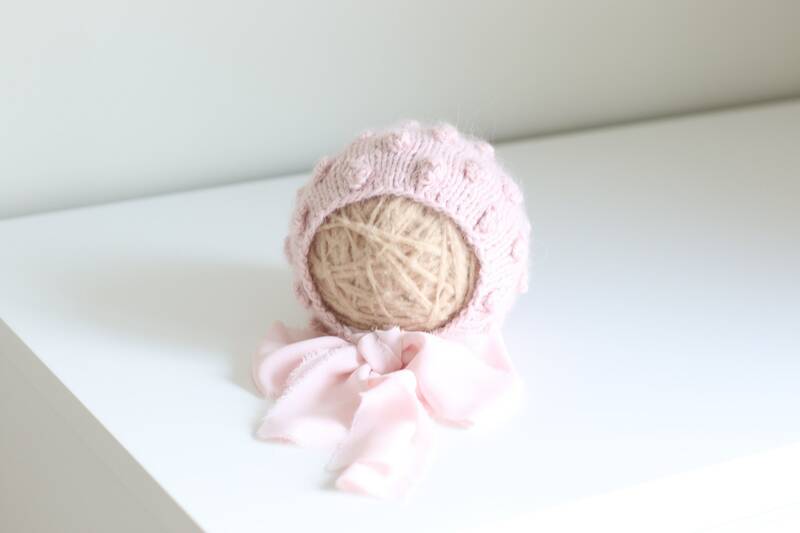 Hand knitted newborn girl hat of wonderfuly soft royal baby alpaca yarn. 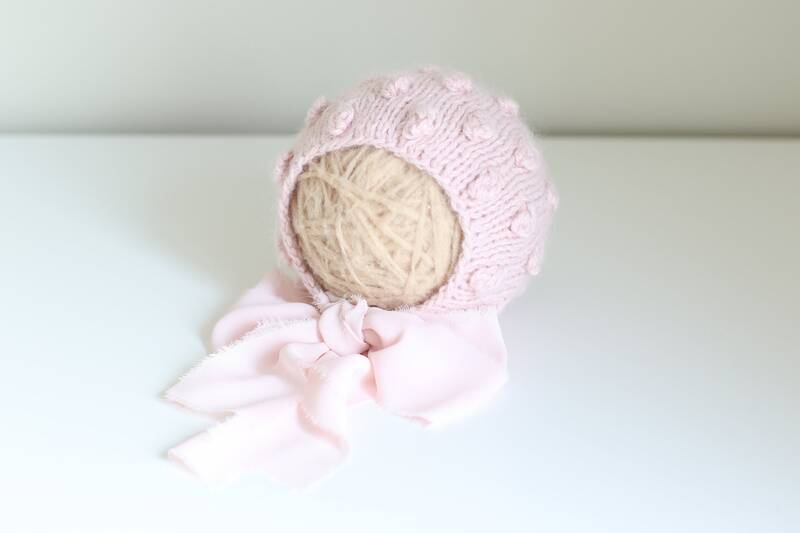 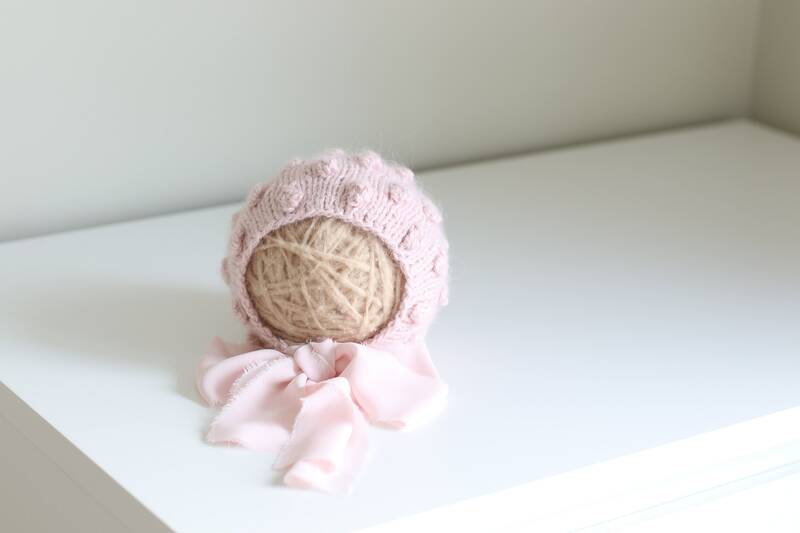 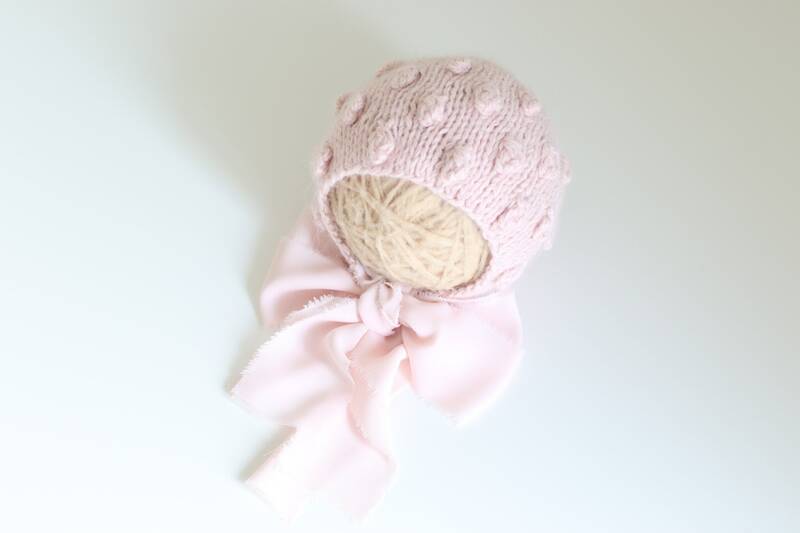 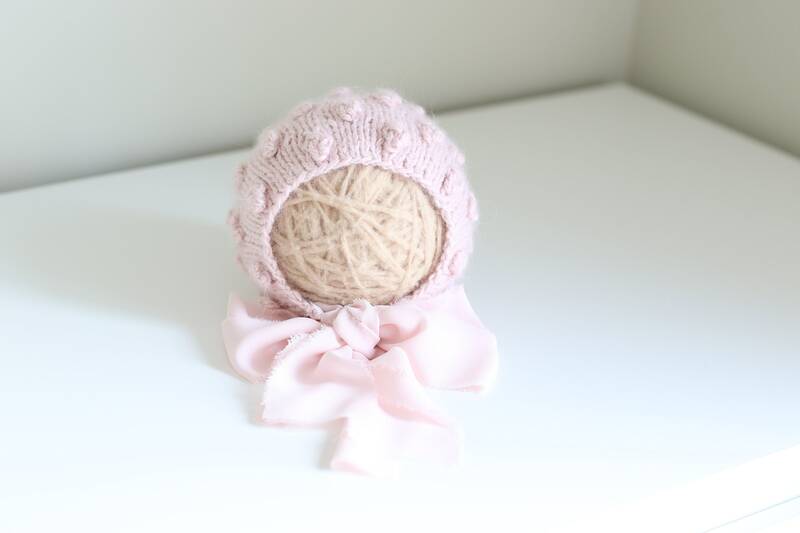 This baby girl hat is an adorable photographers prop for newborns. 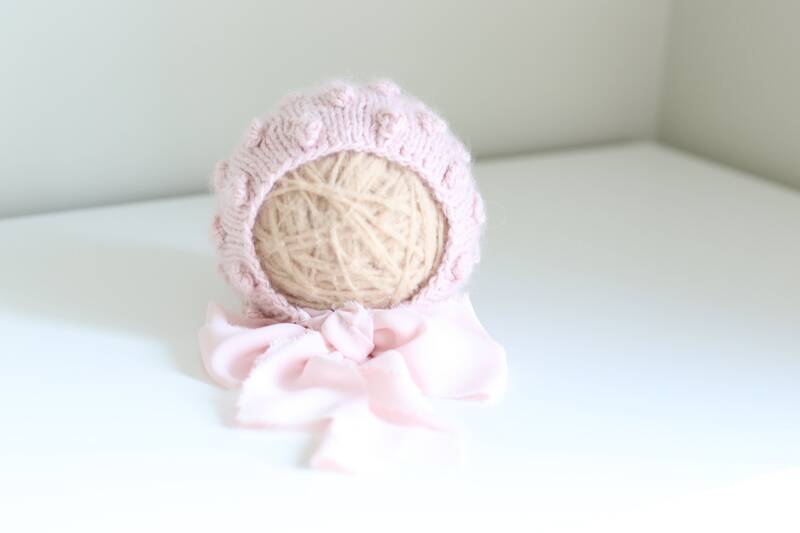 I recommend hand washing in cold water and laying flat to dry.